It’s early in the morning and I can’t sleep very well. I think I have Back-to-school jitters because it’s the first day of classes at BYU today. I get to teach two sections of Teachings of the Living Prophets and I’m so excited about that, but there’s always some anticipation and restlessness when it begins. As I lay in bed sleepless, I recalled an experience I had a couple weeks ago and felt like I should write it down before all the details elude me. I thought I should write it in my journal or something, but then I remembered I don’t have a journal. (I know, for shame.) Plus, the combination of my paltry blogging habits and the death of Google Reader in July has pretty much left me with a dozen readers who drop in occasionally to browse my archives. So to the few of you and my posterity when this blog eventually gets printed out in a pseudo-journal, here’s my story. It’s a cool one. I taught at Education Week this year at BYU and it was a beautiful experience. Stressful, to be sure, but it stretched me in some important ways and reminded me how Heavenly Father can step in and do great things when we remember how much we need Him. On day two of teaching, I was still juggling all my preparation and nerves with all the responsibilities of getting my kids settled in to their first week of school. I was feeling overwhelmed but trying my best. I dropped them off at school, late again. Two for two so far. My gas light was on in the car and I had some serious doubts about whether I would make it to the school and back before I could hit the gas station. I rolled in on fumes and filled up and then headed to Provo, but even more behind schedule. I was just kind of in a wound-up state and my mind was busy with the frustrations and the obligations. On my way down State Street, I moved into the left lane to turn towards Provo. 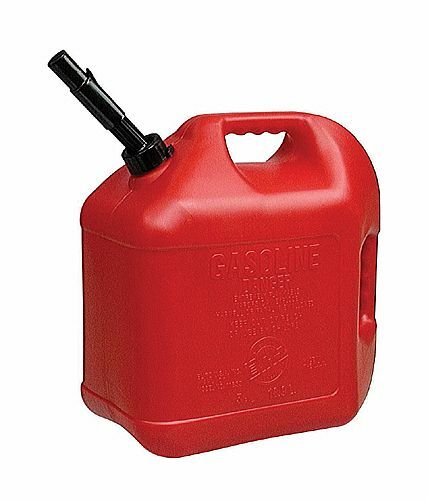 On the right side of the road, I saw a man walking through the gas station parking lot with a gas can in his hand. Something about the way he was carrying himself made me think he had the weight of the world on his shoulders. My brain said, “you should go help that guy.” Now let me flash back a couple weeks when I was walking with my good friend and mentioned to her that one of the frustrating things about the world we live in is that sometimes it feels too dangerous to help people, especially as a woman. I might be driving along with my kids and see a man struggling in the rain, but the part of me who watches the news and wants to live says it’s just not wise for me to offer him a hand. The age of lodging strangers and picking up hitchhikers is past, you know. So when my brain told me to help him, I started rationalizing why that wouldn’t be a good idea. But the thought/feeling (let’s call a spade a spade: it was a prompting) came back, I felt a reassurance that it was okay and I would be safe. So I crossed the three lanes of traffic, pulled my car around into the parking lot, and pulled up to the surprised young man, now seated dejectedly on the grass by the road. He just looked at me with some confusion, and mumbled, “No. I’m fine.” He was dressed in a mechanic’s jumpsuit and I’m guessing he was in his mid-twenties. He struck me as shy or soft-spoken. “You’re welcome,” I said, “God told me stop, so He must have been thinking about you.” It just came out like that. There was a long pause, and then he spoke up, “Can I ask you a question?” Of course. I don’t know what I expected him to say. Maybe “Did God really ask you to stop?” or “Why would you do that?,” but his actual question took me by surprise. You know how he’s always telling stories of doing and saying small things and being in the right place at the right time and how he learned to “never delay a prompting”? Well, I’ve had several simple experiences with that principle, but this was the clincher for me. I felt so . 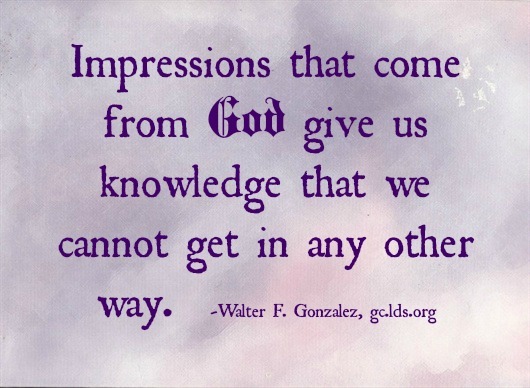 . . grateful, honored that Heavenly Father would use me as an instrument in that moment. I loved Him and I loved that man, and I could just feel God’s love all over myself. It was awesome. The rest of the drive to campus was a totally different mindset. No more stress. No more worrying about my schedule. No more frustration. Just gratitude. Since I was late and had already missed the first class I had planned to attend, I hurried to campus and went straight to the classroom I thought I wanted next. Once it got going, I realized that this wasn’t my intended class, but decided to just sit it out and see how it went. Part way through her class, the teacher mentioned, “Today is President Monson’s birthday.” Really? Whoa. I had no idea. And then she said, “This is how we are going to celebrate.” A few years ago, a reporter had asked President Monson what he wanted for his eightieth birthday from the members of the church. Her power point put this quote up on the screen. I don’t think my gas station experience was a coincidence. It was a way for me to unknowingly honor President Monson on his birthday and gain a testimony of his prophetic influence and the power behind his sometimes simple counsel. Happy birthday, indeed, President Monson, and thank you for reminding a stressed-out mom what really matters. Well, it’s the grand finale of GCBC. Like, final finale. I have loved doing the online book club since 2009, so thank you to all of those who have followed along, and especially to those of you who were brave enough to comment and participate. I don’t ever remember being as hungry for general conference as I am this week. In a world where the lines between good and evil are constantly being muddled and stretched and flat-out ignored, I am so thankful for the opportunity to hear living prophets declare and clarify God’s will, reaffirm his commandments, and offer counsel to help us navigate our days. This final talk is a great one by Elder Bednar. Write the word TESTIMONY on the top of one sheet of paper (landscape way) and CONVERSION on another. Divide each page below it into 3 columns. At the top of column 1, write What leads to it?, column 2, What IS it?, and column 3, “What does it lead to?/Results. Label the columns that way on both papers. Then as you study, write down phrases or snippets of information that belong to each column. His talk is outlined in such an organized way that it’s really easy to pick out answers to those three questions and glean a whole lot of information and understanding. 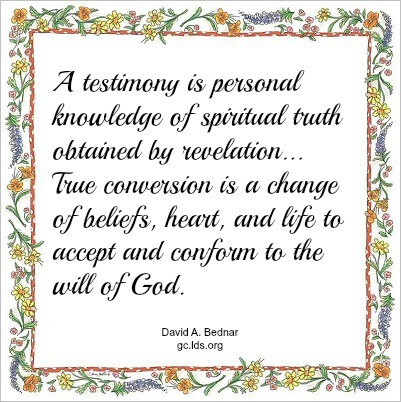 This exercise helped me to see the relationship between testimony and conversion and how I can strengthen both. What principles stood out to you as you studied this talk? Have you seen the process he describes in your own life? And are you as excited as I am to hear general conference this weekend? Whoa. Week 20 already? This week we will look at two talks because they go nicely together and because we need to pick up speed a little to cover everything before the next conference sneaks up on us again. These two talks are a nice fit because they address how learning and teaching both play a role in conversion. What are some of your thoughts after studying these talks? What kind of learning has affected your own conversion? 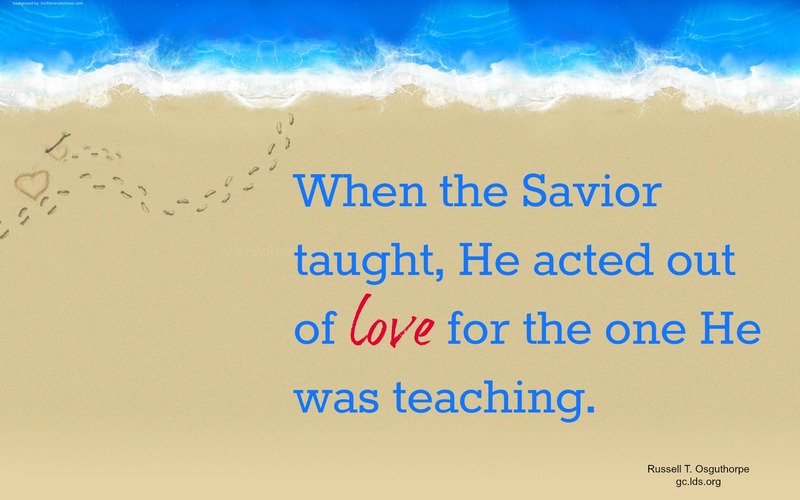 In what ways have the teaching of others helped your testimony to grow? And how does this affect your own teaching, whether in a classroom setting or with your own children? Share your thoughts in the comments below. Already at week 18. Crazy. This week’s talk is President Packer’s powerful testimony from the Saturday a.m. session of conference. “My message is directed to those among us who are suffering, burdened down with guilt and weakness and failure, sorrow, and despair.” The knowledge of Jesus Christ, His plan, and the Atonement can help us cope with the challenges of life and overcome them. What are some of your thoughts after studying this talk? How has your own testimony of Jesus Christ been a strength to you? Please share your thoughts in the comments below. Okay, we’re in the holiday season, so admittedly, we’re all dragging a little bit. I mean, I’m in charge of GCBC, and even *I* haven’t made any comments. So just stick with me for the next couple of weeks, and at least read the talks, and then come January 1st, we’ll all make a New Year’s Resolution to do some good studying, pondering, and discussing. Deal? This week’s talk by Elder Larry Echo Hawk was one of my favorites. His simple powerful testimony was inspiring to me. What stood out to you from this talk? How about any goals or applications? Please share in the comments below some of your insights. In this talk, he told several memorable stories: about taking his son through the Bountiful Temple open house, about the death of his grandfather at a family reunion, and about President Monson talking to the woman hiding under her sheet in the hospital. 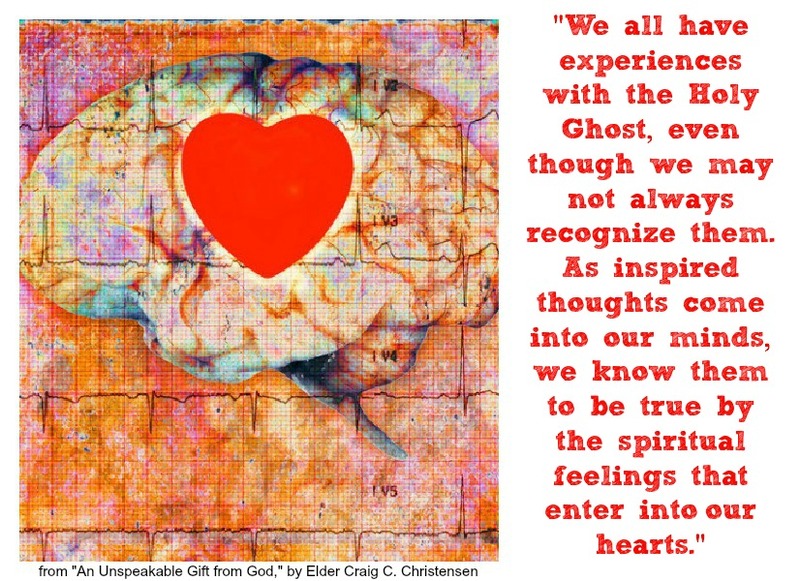 I’ve noticed that as I really pay attention to the thoughts and feelings that come into my mind and heart, and then act on them (when they are obviously in line with gospel principles I already know to be true), I usually learn quickly that the prompting came from the Holy Ghost. That assurance tends to come through feelings of satisfaction and a sense that I’ve done the right thing, or through the sometimes obvious positive consequences of that choice to act. I really liked the blessings he listed that come from the gift of the Holy Ghost: “added capacity and spiritual gifts, increased revelation and protection, steady guidance and direction, and the promised blessings of sanctification and exaltation in the celestial kingdom.” Other than the exaltation bit, which is a work in progress throughout mortality, I’ve really felt those other blessings in my own life, and I’m so thankful for the influence of the Spirit. What stood out to you? What are your thoughts about the role of the Holy Ghost in your life and in your testimony? Discuss in the comments below. As always, you can find links to watch, listen, read or download from her talk at the link above (Click on the talk title). We are followers of our Savior, Jesus Christ. Such conversion and confidence is the result of diligent and deliberate effort. 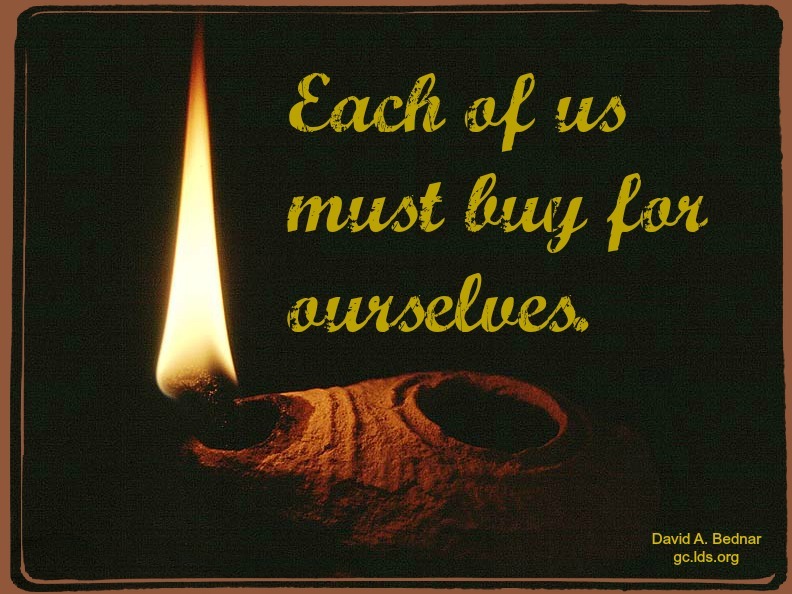 It is individual. It is the process of a lifetime. 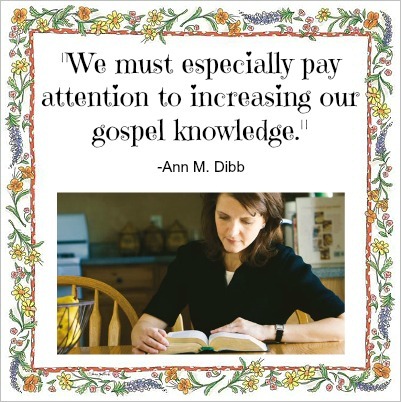 I loved this quote because I think it’s so important that we turn to the scriptures and gospel study to gain insight into whatever it is that we are dealing with or struggling with in our lives. Please share what you learned from this talk. What do you know? live? and love about the gospel of Jesus Christ? Tell us what this talk encouraged you to do or be.